Tired of the same old grilling choices? Perhaps you’d like to add some spice to your grilling life! The answer is SMOKE. You’ve probably had pulled pork or smoked ribs, perhaps even some brisket. That is real BBQ. Low temperatures, long cooking times, with lots of smoke. 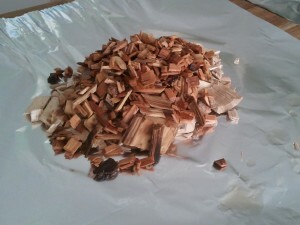 These items are usually made in a specific smoker or BBQ pit, as the pros call them. You see grilling is typically a high heat, fast style of cooking and we rely mainly on the quality of the meat to shine through. Perhaps you use marinades, rubs, or sauces which are all great ways to add flavour to the grill. 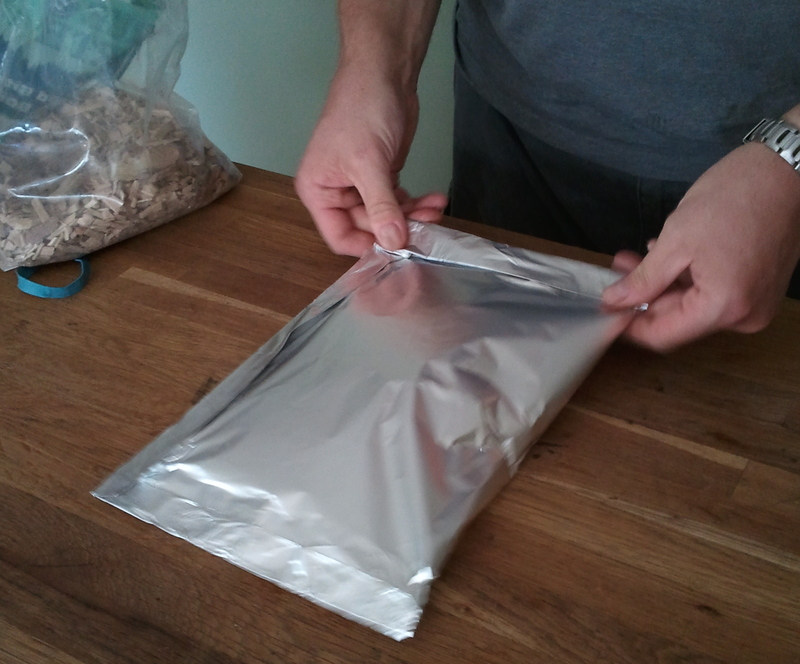 I’m talking about using smoking chips from the hardware store (Canadian Tire, Home Hardware) to make smoke packs wrapped in foil to add a little extra depth of flavour to your grilling. It’s quite simple to do and works remarkably well. Whether you are grilling chicken, pork, seafood, or beef and veggies, smokey flavour will be a noticeable treat. 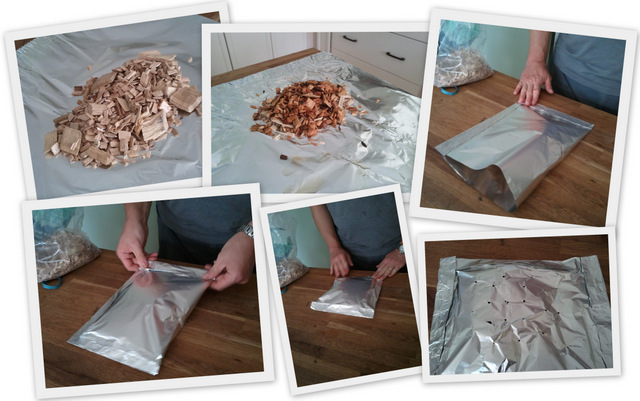 You start by figuring out how long the cooking will take and figure 1 smoke pack for every 30 minutes. You probably need 2 large handfuls of chips for 1 smoke pack, maybe 3 cups. 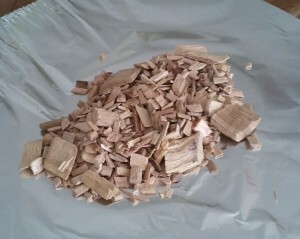 I use a blend of hickory and maple chips and divide the mixture in half. Soak half the mixture for at least an hour. Soaking is to slow down the whole process but if you only need 15-20 minutes for some seafood then don’t worry about soaking the chips. 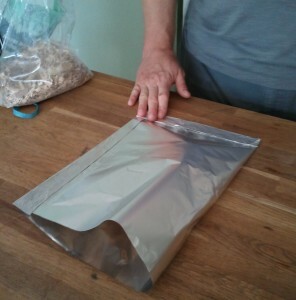 When assembling the pack get a large piece of aluminum foil, the wide and heavy duty variety is best. If you only have the regular you made need 2 layers. Imagine a line down the middle of the foil and place the dry chips in the middle of the imaginary half, or 1/4 of the way in from one side. Place soaked and drained chips on top. 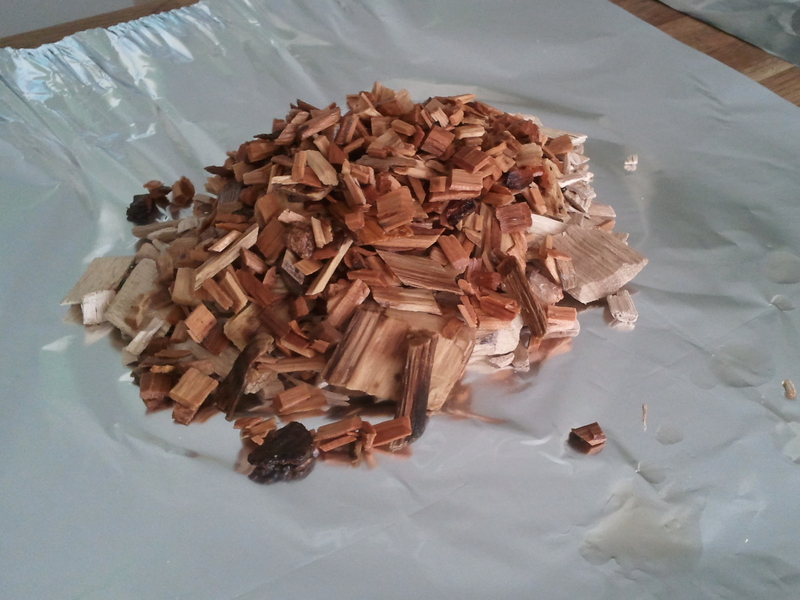 The dry chips will start to burn and start smoking while the wet ones will be slowly drying before burning, thus prolonging the process. 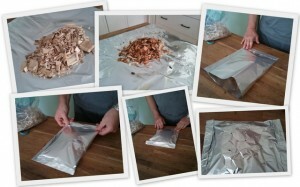 Now fold it over along the long edge and crimp the ends by folding them over in 2-3 1cm folds. Now fold in the sides in the same manner sealing the edges tightly. Once complete perforate the TOP only with a skewer or fork with 12 or so holes. Get your grill prepared by moving the cooking grate aside and placing the package, perforated side up, on the lower grate above the burner. Replace cooking grate and fire it up! In 15-20 minutes you will start smelling the smoke and the grilling can commence. When using smoke packs I like to reduce the heat a little to medium for cooking just to ensure the meat isn’t overdone and gets as much exposure to the smoke as possible. If you are looking for a sear on the meat then do that on high and reduce to low and maybe even turn the burners under the meat off for an indirect style of cooking to finish it. Doing this turns the grill into an oven, albeit a smokey one. 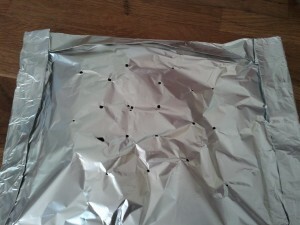 Determine when the meat is done as usual, with a thermometer, and let it rest covered in foil for 5-10 minutes or longer for large cuts of meat. cedar plank for the fish. bread knife and proceeded to slice the slivers off the fire logs. (Do not do this at home) 19 people just loved the smokey flavour. The BBQ expert told everyone he had learned something new.